It came closer ... closer ... and then it started heading away. But you may not have noticed at all. A different and unrelated meteor exploded over Russia Friday, hours before the much larger asteroid's fly-by, injuring about 1,000 people. Scientists say this was a pure coincidence. 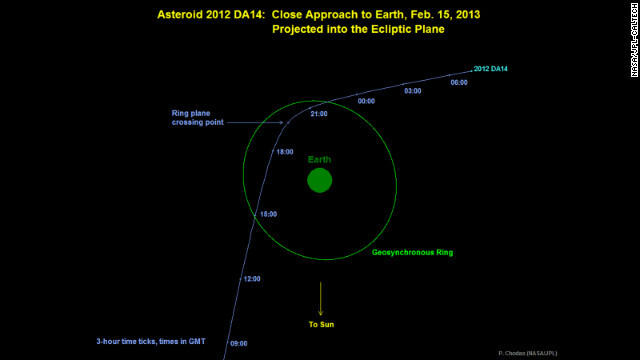 By contrast, the asteroid, called 2012 DA14 never got closer than 17,100 miles to our planet's surface.